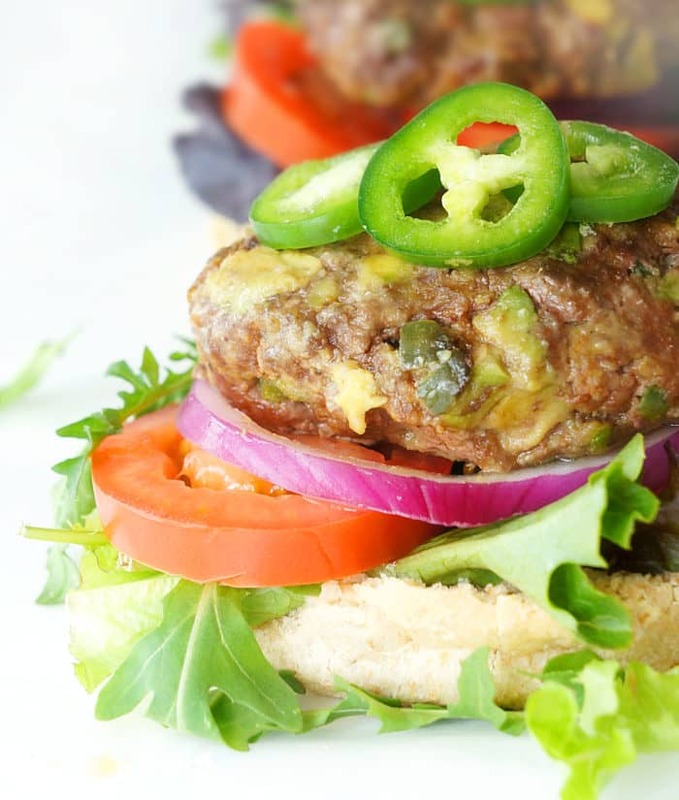 These healthy avocado jalapeño burgers are juicy, flavourful and packed full of creamy chunks of avocado and a kick of heat from the tiny pieces of jalapeño pepper that are found in each bite. They make a great quick and easy meal perfect for those summer barbecues, picnics or get togethers. 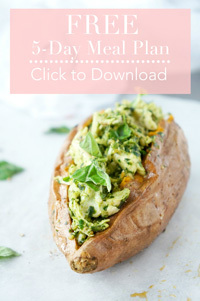 Paleo, gluten-free & dairy-free. I often talk about my passion for salmon in my posts, but have I ever mentioned my LOVE for burgers? Next to salmon, burgers are seriously the best thing EVER. If I’m all salmoned out, I’ll almost always order a burger at a restaurant. Burgers and salmon are definitely my jam. Well, first of all, it has to be juicy and packed full of delicious flavour and awesome toppings. I also always enjoy an element of surprise. No boring burgers allowed for this mama! Like for instance, at my favourite restaurant, On the Lam, they have the most ingredible burger. It’s so juicy and is also packed full of these cheese curds and a creamy aoli which gives it this mouthwatering flavour. You totally don’t expect it to be THAT amazing until you take a giant bite out of the burger and find all of these surprises hidden inside that bun. I actually get excited talking about it. It’s THAT good. As much as I love going out for a good burger, I also realize that it’s not always the healthiest option. Although I like to indulge every once in a while and have a nice treat, it’s certainly not something I like to make a habit of every day. So that’s where homemade burgers come in handy. Let’s face it, that craving for a burger? It’s not going to go away. Once I get my heart set on a burger, I will do anything and everything in my power to get myself a juicy burger. My favourite homemade burger has always been these Roasted Garlic & Feta Chicken Burgers, but just like you don’t always want to have salmon prepared the same way every single time, you also don’t always want to eat the exact same burger every week. Right?! So that’s where another one of my favourite burgers comes in. 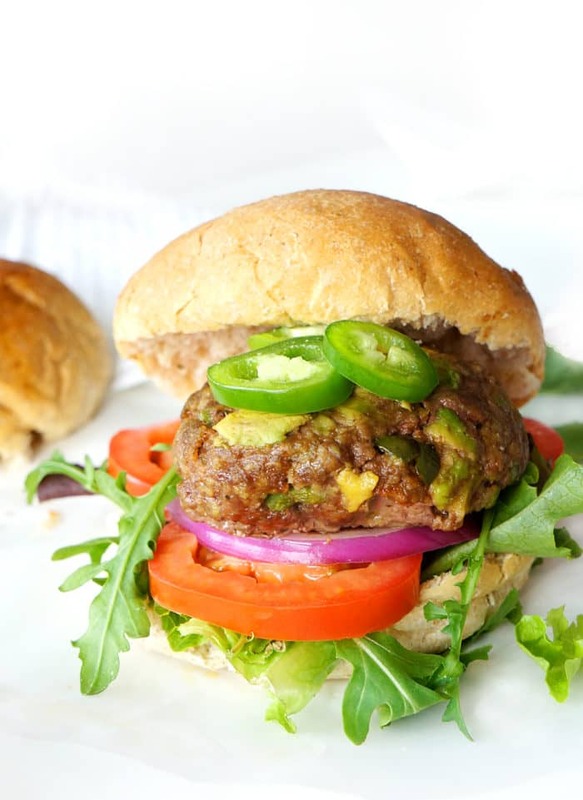 Just like the cheese curds in my all-time favourite restaurant burger, the avocado adds a nice gooey texture to the burger, but instead of being packed with saturated fat, it’s full of healthy monounsaturated fats that are great for the heart! 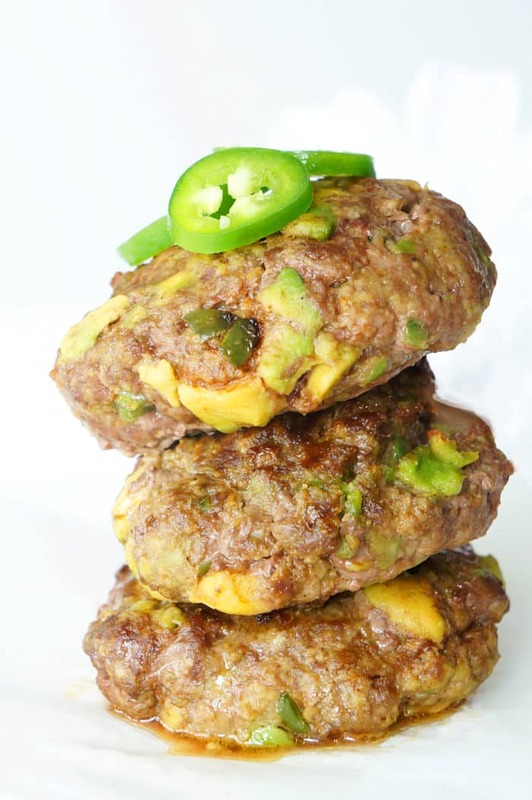 Additionally, these burgers are made with extra lean ground beef which also cuts down on the saturated fat content. Although I made the burgers in recent weeks with beef, I’ve also made them with ground chicken and turkey and they turned out great each time! The beauty of these burgers is that you can serve them on a nice toasted bun or naked along with a refreshing summery salad like this asparagus & tomato salad or arugula nectarine salad. 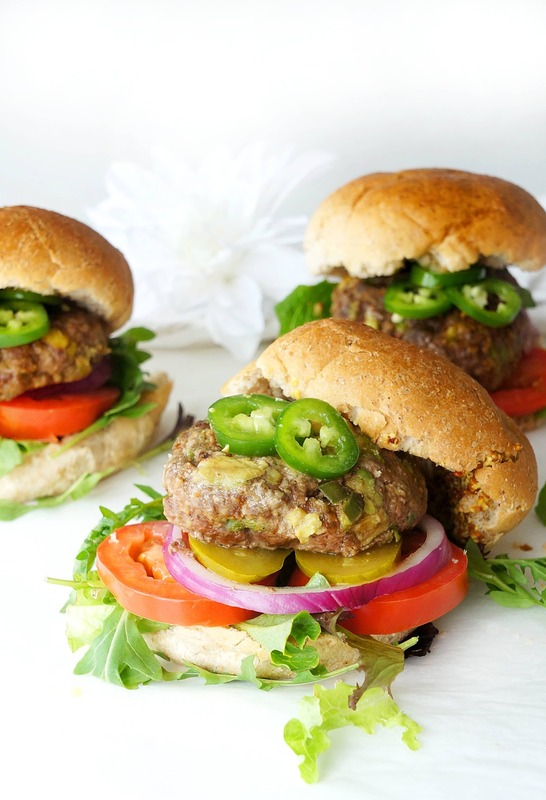 If you choose to serve the burgers on a bun, I recommend topping them up with some fresh lettuce, slices of tomato, pickles, jalapeño peppers, some additional avocado, Dijon Mustard…or whatever your heart desires! Believe me, the toppings are the icing on the cake! If you haven’t tried a burger like this before, definitely add it to your list of must-try burgers this summer. Mix all of the ingredients for the burger together in a medium-sized bowl. Mix gently so that the chunks of avocado stay intact. Using your hands, form mixture into eight burgers. Place burgers on a piece of parchment paper on a plate or baking sheet and freeze for at least 30 minutes to allow them to firm up and prevent them from falling apart when grilling them. Cook on BBQ over medium heat for approximately 4-5 minutes per side or until cooked through. You can also bake them in the oven at 375 degrees F for about 25 minutes or until cooked through. Serve burger on bun or naked with desired toppings. Don’t forget to download my FREE grilling guide here, along with all my other free printables and resources! Oh yeah — I agree! The jalapeño adds a nice kick of flavour! Thanks Emily — such a huge fan of avocado! Elysia when I come visit we’ll have these for lunch, right? I love jalapeño! I LOVE that you put the avocado INNNNN the burger meat! SO GENIUS!